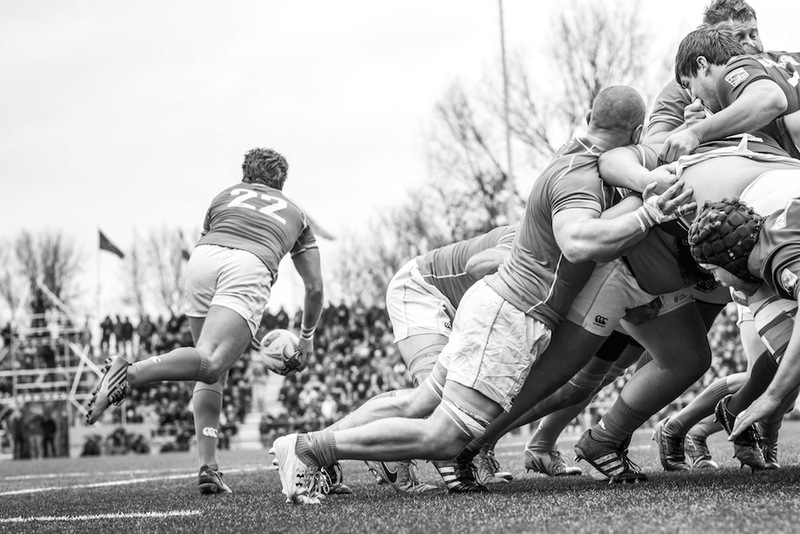 The season is winding down, but Dutch rugby is making great strides, winning both players and fans. So forget the hockey sticks and the ice-skates, it’s time to grab your boots and turn your focus towards the Dutch rugby pitches, says Rachel Kilbee. This weekend sees the last rugby matches played in the national championships just before the local players should be taking their foot off the gas for a short summer break. 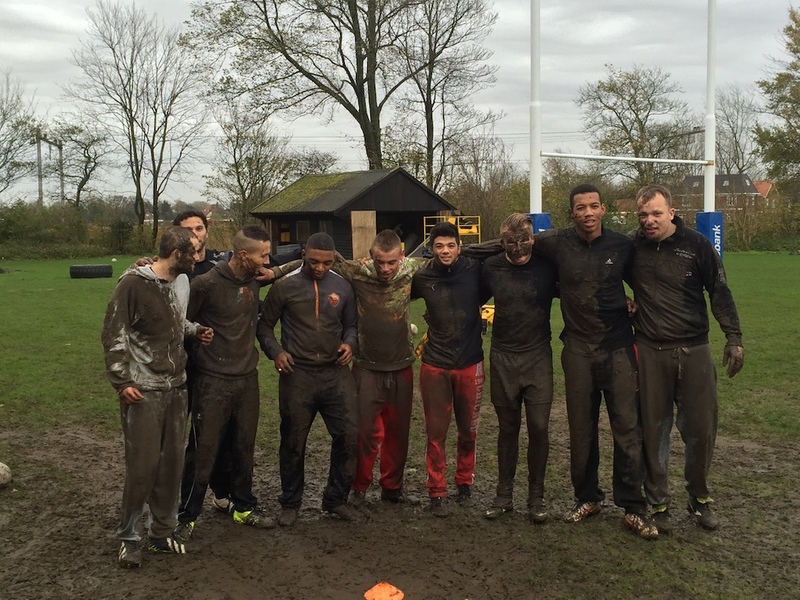 But in reality, the Dutch players don’t have too much time to rest with new rugby challenges lining up in the Netherlands. On the professional field it has been confirmed that Brazil will visit Amsterdam on 16th June in an exciting game against the Dutch, a result which if positive, will raise the Rugby NL team to 26th in the IRB ranking. ‘It’s been a long season for us, but since hearing the news last week, we’re making a game plan and we want to win. It will mean more funding and more sponsorship for us,’ says team captain, Dirk Danen. With youth rugby growing year on year and with the regional NTC academies identifying fresh talent, the growth of rugby in the Lowlands has seen a dramatic rise and has had a positive response from both local and expat players. Angus Rutherford (18) hailing from Durham, Britain has lived in Hilversum for 14 years and he first cut his teeth on the rugby field playing for the U15’s. Now selected for the Netherlands U20’s team he has only positive things to say for the sport here. Conversely, Rugby NL unfortunately hasn’t reached the heights of being able to finance the players or offer contracts which makes it difficult to always keep the players motivated at the top. ‘We’re in talks with Rugby Europe. We want to set up more regional competitions and start a semi-professional competition. I don’t think we’re too far off and we’re content with the progression. We’ve recently gained new sponsorship and we’re investing in both the youth and seniors. Finances are always an issue but hopefully this will change as our results and performances improve,’ Gilbert says. With the Under 20’s successfully reaching 4th spot at the European Championships Oranje achieved above and beyond their expectations. ‘The frustrating thing at the moment is that these young successful players often get better prospects abroad’ says Marcus Holden, head coach at Hilversum rugby club. This ethos of ‘What happens on the pitch stays on the pitch’ is one which is mirrored by Joeri Peperkamp who founded the Turn-Over project. Beginning four years ago, he bought a bus and approached truant teenagers on the street. By introducing them to a three month project built on the strengths of rugby, he has successfully seen 80% of his students re-integrate into the workplace. ‘The government thought we were crazy, and said we would fail but now they have changed their minds. Now they tell me that it’s a beautiful thing!’ he said. 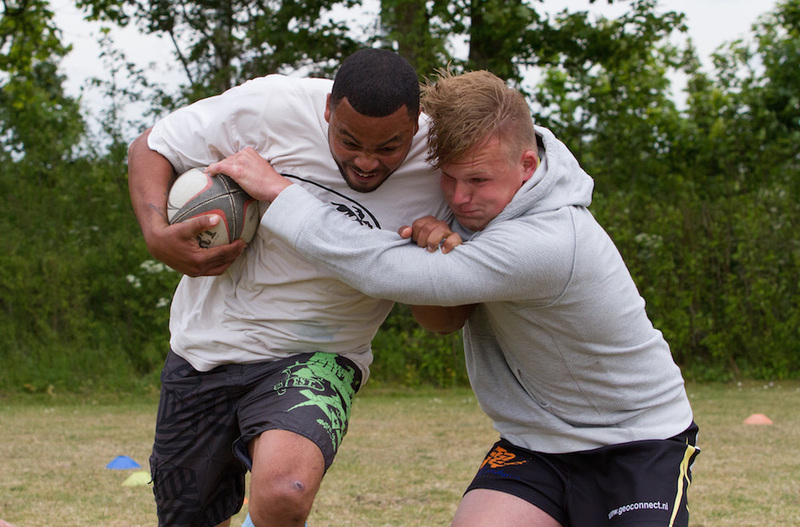 The project has been so successful that he has organised a rugby match on the 7th June between Rugby NL and the prisoners from an Amsterdam jail. ‘Being involved in rugby is all about giving back. This demonstrates the strength of what rugby can do!’ enthused Gareth Gilbert, who is taking part in the match alongside Tijmen Vader and Mats Marker. 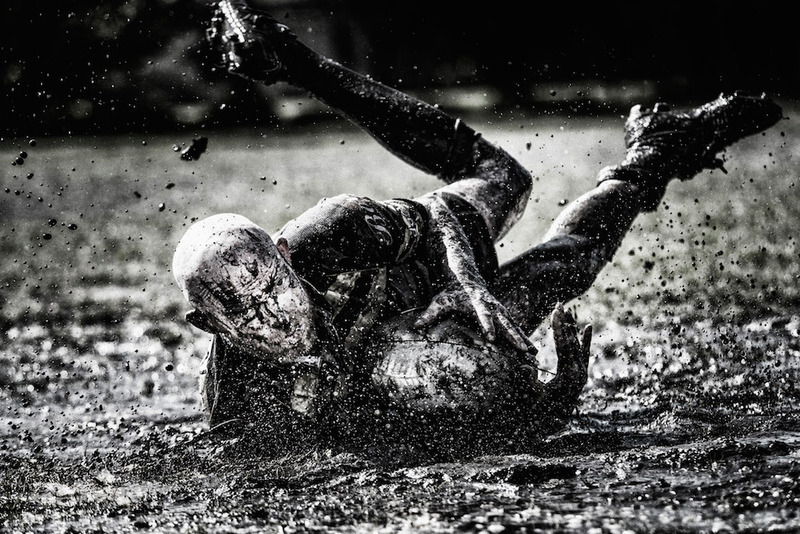 Also affiliated with Rugby NL and the EBRA is the North Sea Beach Rugby competition taking place in the Hague 26-27 May. 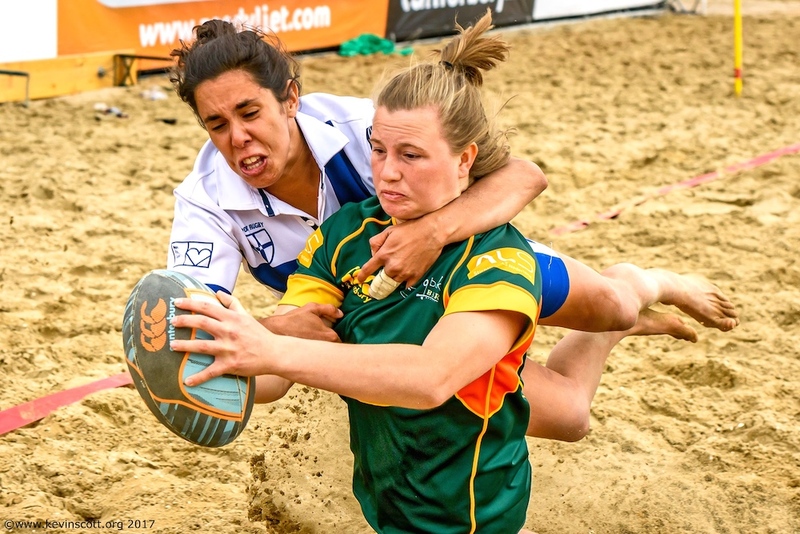 With over 1200 players and 16 pitches stretching along Scheveningen beach it guarantees to offer rugby fans an action-packed weekend. ‘It is the most spectacular game of rugby on a small pitch with the beautiful back drop of the North sea!’ says chairman and founder Kasper Bleijenberg. Another growing group of players in the sport are those in the National Rugby Wheelchair championship. ‘Rugby lets me forget my problems, when I play I forget that I am in a wheelchair – I play rugby!’ says Frank van Es who plays for the Scorpions in Utrecht. ‘We need to encourage women, mixed abilities and disabilities and get investing in better training and then the atmosphere will follow.’ says Annelies.